Cheese is food made from processed milk. It comes from the milk of cows, buffalo, goats, or sheep. Cheese is considered a staple food in the kitchen because of its long shelf life, portability, and high content of calcium, protein, and fat. There are different categories of cheese such as Blue, Mozzarella, Cheddar, and others. While it is easy to distinguish the different categories of cheese, some people are having a difficulty in identifying the differences of Blue Cheese and a similar cheese, Gorgonzola Cheese. Let’s learn the differences in this article. 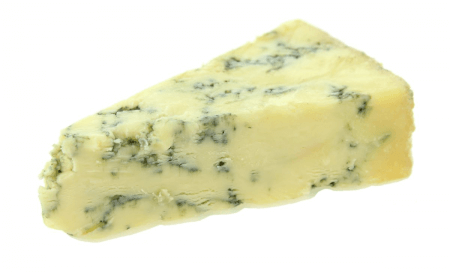 Blue Cheese, also spelled “Bleu Cheese,” is a category of cheese that has stripes or spots of mold that are blue or blue-gray. This mold is formed because Penicillium is added during the aging process of Blue Cheese. The aged cheese has a distinct smell from the cultivated bacteria. The cheese is aged in temperature-controlled environments and the aging process typically takes three to four months. Because it is aged, blue cheese has a sharp and salty flavor. It can be consumed on its own or can be melted over other food. It is usually added to salads or burgers. There are three different types of Blue Cheese: Gorgonzola, Roquefort, and Stilton. Gorgonzola was invented in 879 AD, Roquefort was invented in 1070 AD, and Stilton was invented in the 18th century. These blue cheeses have different names because these are named after the towns where they are produced. Gorgonzola Cheese is a type of Blue Cheese that hails from the Italian region of Gorgonzola. It takes three to six months for Gorgonzola cheese to age. The longer the aging process, the stronger the taste will be. It is made from unskimmed cow’s milk and Penicillium glaucum is added during the aging process, which is why it has blue-green veins running throughout. It has a soft and crumbly texture. It is usually eaten as a topping on pizzas or pastas. Gorgonzola Cheese was first produced in 879 AD in Gorgonzola, Italy. What’s the difference between Gorgonzola and blue cheese? In this section we’ll discuss their differences in appearance, taste, main ingredients, and form of consumption. 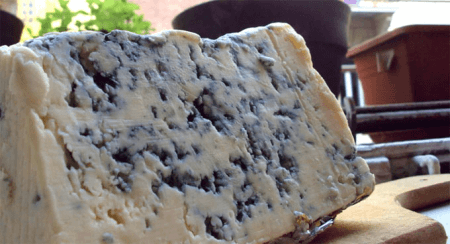 Blue Cheese has blue, blue-grey or blue-green stripes or spots of mold while Gorgonzola cheese has blue-green veins that run throughout the cheese. Blue Cheese has sharp and salty flavor. Gorgonzola Cheese has a mild to sharp taste depending on its age. Blue Cheese can be made from milk from cow, sheep, or goat. The milk is injected with Penicilliuem glaucum mold. On the other hand, Gorgonzola is made from cow’s milk or goat’s milk that is unskimmed. Just like with Blue Cheese, Penicilliuem glaucum mold is also added. Blue cheese can be eaten melted over other food or on its own. It is usually added to salads or burgers. Gorgonzola, on the other hand, is eaten as a topping in pizzas or pastas.